The 2013 Lincoln MKX gains an updated version of the MyLincoln Touch interface. There are no other major changes. 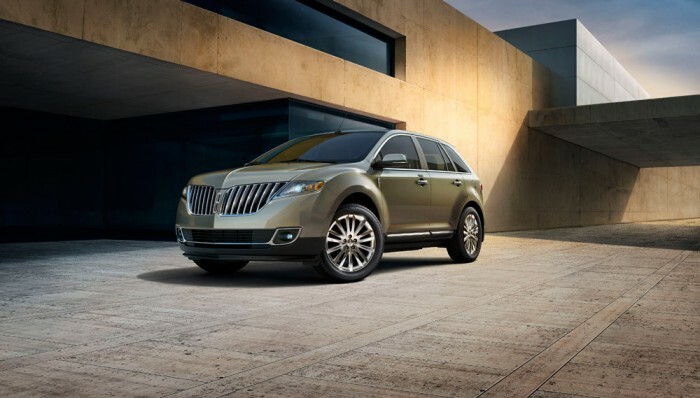 For the 2013 model year, Lincoln has taken a pinch of sportiness, a dash of refinement, and a whole lot of sculpted lines to create the MKX crossover. The unique grille design sets this crossover apart in an overpopulated segment, while the simple exterior design creates an elegant silhouette, making it the perfect option for a family looking for a crossover that’s more upscale than rugged. A 3.7-liter V6 powers every 2013 MKX, producing a robust 305 horsepwoer and 280 lb-ft of torque. A six-speed automatic transmission with manual shifting capability is standard with an option of front- and all-wheel-drive. When the MKX is properly equipped, it can tow up to 3,500 pounds. EPA-estimated fuel economy for a front-wheel-drive MKX comes in at 22 mpg combined, while the all-wheel-drive is rating slightly lower at 19 combined. Gorgeous stitching, aluminum accents, and quality materials come together to create a handsome cabin, while the standard MyLincoln Touch interface has three display screens, allowing you to input commands for various audio, phone, and navigation functions through either voice, touch controls, or buttons on the steering wheel. Each row of seating provides plenty of space, especially in the back, while the flip down second row expands, providing even more cargo room. According to government crash tests, the 2013 Lincoln MKX was rated four out of five stars for overall crash protection. The Insurance Institute for Highway Safety awarded the MKX its highest rating of “Good” in frontal-offset and side-impact protection tests.